The first half of 2018 saw strong growth in equipment and software investment, driven by a healthy U.S. economy and more preferable tax treatment. Growth slowed in the second half of the year, providing a less robust jumping off point for 2019. After 7.9 percent growth in equipment and software investment last year, look for still healthy, though more moderate, 4.1 percent growth in 2019. Equipment leasing and finance will remain the most common payment method used by businesses to acquire equipment and software. The propensity of businesses to finance will continue despite rising interest rates, lower tax rates and a strong economy that’s resulted in many companies with cash on hand. Through the first half of 2019 many equipment verticals will build on or hold steady with the previous year’s positive investment gains, including aircraft, construction, computers, software, materials handling, and ships and boats. Equipment types likely to peak include agriculture, trucking and medical equipment. Investment growth in some verticals may weaken this year as the business cycle matures further. U.S. firms will find conditions in international markets increasingly factoring into their own business decision-making in 2019. Slowdowns in China in particular, Europe and other major emerging markets; the conflict in U.S.-China trade policy; and global credit tightening will be among the global effects that will drag on the U.S. economy and capital spending decisions. The combined impacts of changes in lease accounting standard ASC 842 and the new federal tax law have provisions that maintain, and in some cases improve on, previous benefits of financing, such as 100 percent bonus depreciation and expensing of used and new equipment. More precise balance sheet calculations for ratings agencies, lower capitalized asset costs vs. loan or cash purchase, and higher deductibility of interest expense are just a few of the new advantages. Equipment finance businesses across all industries will seek out new technologies for everything from enhancing the end-user experience to increasing efficiencies to managing obsolescence. The ability of these organizations to successfully implement technologies like blockchain, artificial intelligence and robotics will continue to differentiate market leaders from also-rans. Faced with globalization of markets and rapid technological developments that shorten industry cycles and rapidly shift asset values, equipment managers will deploy robust technology platforms and data analytics in combination with their industry expertise to provide residual values. 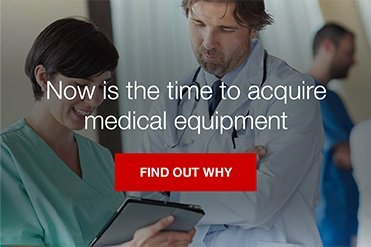 End-users acquiring new and used equipment will benefit from stiff competition and enhanced customer service capabilities. Downgraded expectations from as many as five interest rate increases to two in 2019 will impact both equipment suppliers and end-users that seek funding. A softening global economy could further delay planned hikes. Regardless, businesses will stay tuned so they can plan accordingly. As businesses continue to realize the benefits of federal deregulation, the results of how a divided Congress acts could dampen momentum. Political brinksmanship and dysfunction could make collaboration on legislation more challenging. Bipartisan cooperation could support a long-awaited infrastructure spending bill, but proposed legislation this year is still an unknown. While the outlook for capital spending remains generally positive, there are additional areas businesses will keep an eye on for the potential to impact their equipment acquisition strategies. Modest to moderate growth forecast for business investment could decelerate if trade tensions and tightening credit conditions continue to erode business confidence. The oil sector has exposure to uncertainty resulting from numerous factors, including falling oil prices, surging U.S. production and a cooling global economy. The weak housing sector shows no clear indications of a rebound as headwinds inhibiting growth remain. Finally, global developments including Brexit terms or the deteriorating economies of some of our trading partners could impact growth in equipment investment in the U.S. Through all of these anticipated trends, consider the depth and breadth of your equipment financing partner. Do they provide outstanding support, industry expertise and extraordinary people? Here's how Key Equipment Finance stacks up.